The Anna Edit is one of my favourite YouTube channels because I just do like Anna (well she is a great English YouTuber) and how clean her fashion aesthetic is. She gives a great guide on how to create a functional Capsule Wardrobe. As we go into 2017, we set goals, we clean out our closets and start afresh for the dawn of a new 365 days, a time to ‘begin again’ and with this we might decide to go the Minimalist route (another trend set alight in 2016 by social media influences) and being minimalist goes together with building Capsule Wardrobes. 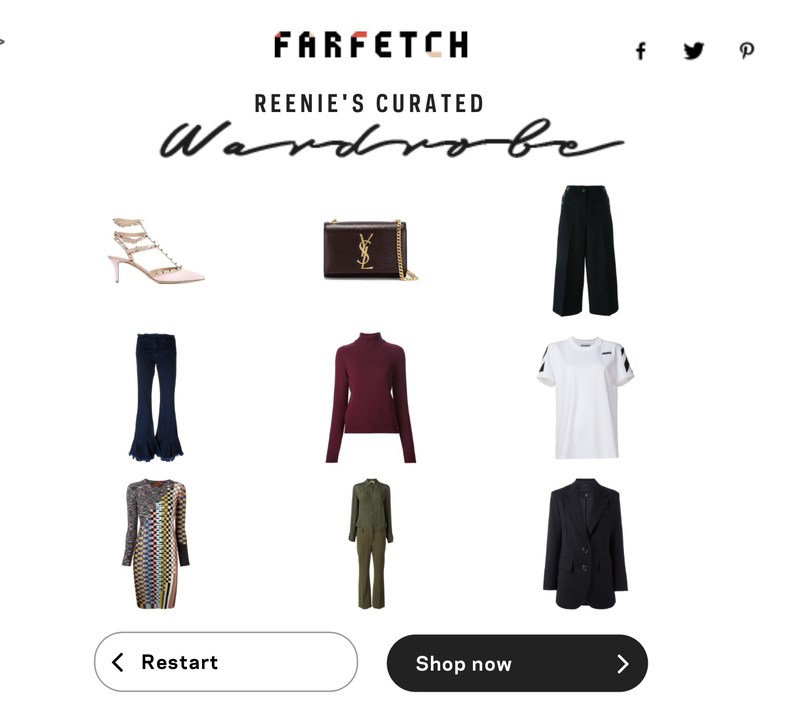 If you are one of those people wondering where to begin with building out your Capsule Wardrobe then worry not amiga, my favourite fashion online retailer FarFetch have got your back, as they have created a great user-friendly Capsule Wardrobe generator, which is time saving and a joy to use too! You can see below my suggested curated wardrobe. Just tried out the Wardrobe Generator and am impressed it got my style preferences on the money. Loved its suggestions. Now to save up my pennies to purchase some of these gorgeous pieces.